Day 1 of #TurkeyWeek! I’m going to be bringing you my favourite turkey or turkey leftovers recipes all this week in the lead-up to my favourite holiday of the year: Thanksgiving! If you want something a bit more traditional for a whole bird recipe, try this EXCELLENT and popular tutorial on “How to Smoke a Turkey”. I don’t know about the rest of you, but I’m pretty giddy about Thanksgiving being right around the corner. I love absolutely everything about Thanksgiving: the food, the family, the weather, the gratefulness. It’s my time of year, people. I’m obviously passing this down to my kidlets, because year after year, my son whose birthday falls just a week or so before Thanksgiving requests a full roasted turkey and the works for his meal. What this translates to is that I’m either rolling out a full Thanksgiving feast twice within two weeks or I get to be a little creative with one of them and keep the other pretty traditional. I think you probably know me well enough to guess which option I choose. Today’s turkey is fan-flipping-tastic. It’s so simple and yet manages to pack in so much flavour. Unlike the trend of the last few years, this bad boy isn’t brined and doesn’t suffer a bit for it. The trick is in the actual coking method. There’s no basting, no fussing, and no nothing until the last fifteen minutes of cooking. This lets you develop a gorgeous crisp skin with a ton of texture and flavour. I’m not a fan of stuffing cooked in the bird, anyway, but this turkey just plain isn’t a candidate for stuffing. You’re going to add aromatics to the cavity of the bird both for flavour and moisture, so stuffing will need to be baked in a separate dish. As for just what this bird tastes like, I can tell you that while the ingredients used to add flavour are definitely Asian in origin, it doesn’t yield an overtly Asian turkey. The turkey meat is moist and lightly scented with five-spice, honey, pear, and scallions, making it a delicious departure from the norm that still pairs beautifully with mashed potatoes, yams, and the usual Thanksgiving spread. Where it really shines, though, is in its versatility in the leftover camp. 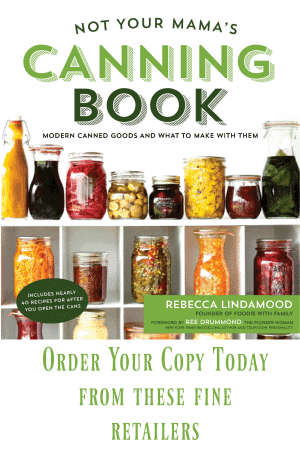 You can do the traditional tetrazzinis, pot pies, soups, and turkey salads, for certain. However, you can also use it in turkey pho (coming later this week! ), turkey fried rice, barbecue turkey pizza (also coming this week! ), and much more without the traditional Thanksgiving heavy-handed sage and rosemary clashing with the other additional flavours. I seriously prefer a heavy-duty roasting pan for this job. I know the disposable aluminum ones are handy for clean up, but they are a little more tempermental and require more careful handling going in and coming out of the oven. If you DO use an aluminum pan, please, please, PLEASE put it on a rimmed half sheet pan or other baking sheet for stability. When you lift it from the oven, do so by lifting the half sheet pan upon which it’s sitting. Do yourself a HUGE favour and make your own Five Spice Mix. The difference in quality and clarity of flavour between homemade and purchased is unbelievable. I’d tell you to test it out for yourself, but I don’t want you to ruin a turkey with sad spices. If you do compare the two, just try smelling each and you’ll be convinced! This is strictly optional, but we always remove our drumsticks from the actual turkey before baking. We set it on the roasting pan right about where it would lay if it was still attached, but we don’t skip this step. Why? There are two reasons it’s not negotiable in our house. 1) We prefer our dark meat cooked longer than our white meat. This allows us to take out the main part f the bird when it is done to perfection and leave the drumsticks in to cook longer without sacrificing the perfect temperature on the breasts! 2) We find that removing the drumsticks reduces the amount of time it takes for them to actually cook, making them done much closer to the time the breasts are finished. My theory is that the increased surface around which air can circulate speeds the cooking process. If you want the traditional looking whole bird at the table, you can position the legs against the trunk of the bird on the serving tray and it’ll look fine! The reason you don’t brush the turkey with honey at the beginning of the cooking process is because it is so high in sugar and will turn your turkey’s skin to charcoal which I think we will all agree would be VERY SAD INDEED because the turkey skin? THAT’S MINE. I will fight you for it. Part of the reason we don’t really have to brine this baby is because of the aromatics we stuff in the cavity. Two halved pears and a handful of scallions tossed with some honey are pushed into the turkey. 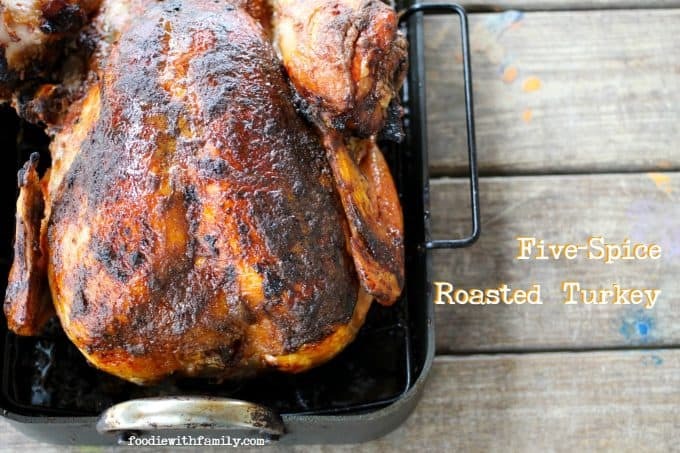 This helps baste the bird from the inside out and keeps it moist during the roasting process. We start this turkey at a high temp (500°F) to help develop colour and THAT SKIN and then drop it down to a lower temperature to finish roasting. This makes for a juicy bird with crispy skin and we all know how I feel about that. I’m a card-carrying member of the Make-stock-from-your-Thanksgiving-turkey-carcass club. The stock resulting from this bird is not to be missed. You can use it for the previously mentioned turkey pho or just about anything else. Preheat oven to 500°F with a rack positioned in the lower 1/3rd of the oven. Spray a roasting rack generously with non-stick cooking spray and place in a roasting pan. Position the turkey, breast side up, on the rack in the roasting pan. If you've detached the drumsticks, lay them alongside the turkey in the rack. In a small mixing bowl, toss the quartered pears and garlic cloves with 2 tablespoons of the honey and 2 teaspoons of the kosher salt. Stuff it, the ginger, and the scallions into the cavity of the turkey. Pour the oil evenly over the turkey and sprinkle with the Five Spice Powder and remaining kosher salt. Use your hands to massage the turkey and evenly distribute the spices. Put the roasting pan in the oven and set a timer for 30 minutes. When 30 minutes have elapsed, lower the heat to 350°F. Continue roasting until an instant read thermometer says the turkey breast measures 160°F and the thigh/drumstick meat measures 170°F. On a 12 to 14 pound bird, this should take about 2 hours. About 1/2 an hour before the turkey is done, drizzle the remaining 2 tablespoons of honey over the breasts and brush with a pastry brush. Return the pan to the oven until the honey has caramelized and become very sticky and brown. Remove the turkey from the oven and lightly tent with foil. The temperature will continue to rise by as much as 10° as the meat rests. This is my second post in my commitment to post every. single. day in November for NaBloPoMo (National Blog Posting Month). 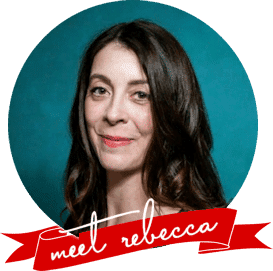 Follow the craziness all month as I share recipes, family anecdotes, and throw a couple of giveaways in for good measure! 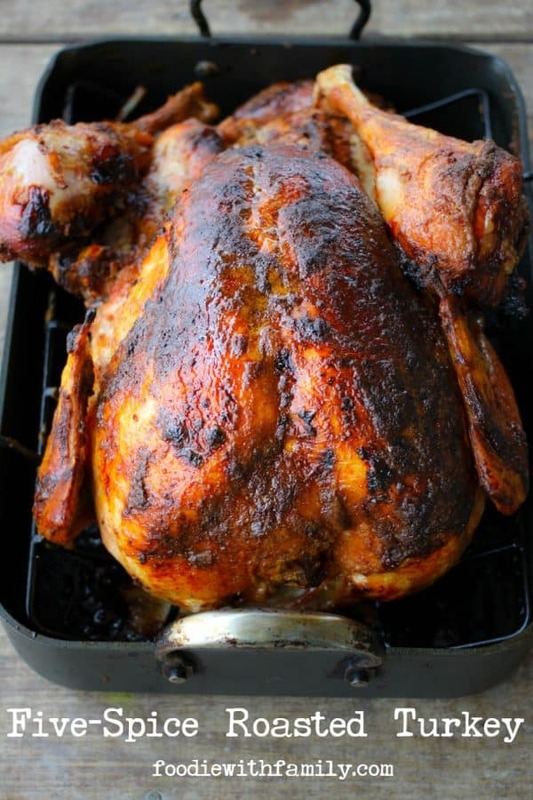 Roasting turkey with five spice powder is a brilliant idea…that deep color is awesome! Thanks, Sue! It really doesn’t impart intense five spice flavour, but it’s a nice subtle addition. I dearly love the deep colour, though!! Excellent. I will no longer spend my usual week or so looking for a new turkey recipe. I always stuff with aromatics (in-turkey stuffing is risking bacteria and just plain gross to me) and I love five-star powder. Thank you! ROCK ON, Amy! So many people are hidebound on their turkey recipes and I get it. You don’t want to mess up something for which everyone has such deep-seated expectations on the taste. I’m all about keeping it fresh, though! Stupid autocorrect. Obviously you know I meant five-SPICE powder, but I still feel the need to correct myself! Yes, I’m SO psyched – I look forward to planning, making, and of course, eating my Thanksgiving meal every year. This turkey would make an awesome addition to any table, I just love the sound of the flavors – plus, gorgeous! Thank you, Heather!!! It’s really a subtle flavour infusion, but it’s so good!! This sounds fantastic! I’m rarely ever the one responsible for the turkey at Thanksgiving, but I’m planning on using this for chicken on some other night. How do I make the “five spices”? You can follow this link (https://www.foodiewithfamily.com/2013/06/17/chinese-barbecued-pork-char-siu-homemade-five-spice-and-an-ipad-giveaway/) to find a recipe for homemade Five Spice. I linked it in the post, but it might be a little tricky to spot! Would you recommend cooking in over oppossed to a grill (green egg)? Hmmmmm. I have no experience with a green egg, so I’m afraid I won’t be a ton of help here. Does it matter what type of pear? I’m making this turkey this thanksgiving…I hope I make it right!!! Any pear will be good here. Asian pear is lovely, but so is Bosc and pretty much any other very ripe pear. 😀 Happy Thanksgiving! I loved this on my turkey. It was perfect! 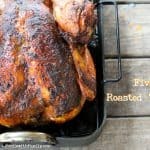 How should I adapt this for a roaster chicken? I’d like to make it again, but turkey isn’t available outside of Thanksgiving where I live. Hi there, A.R.! I’d suggest you do everything identically except for the timing on the chicken vs. turkey. I’d say to adjust the time to what time you usually cook your roaster chickens!